THOUGHTSKOTO Thoughtskoto : Attention Parents, Failure to Give A Child Support is a Crime! The separation between husband and wife is not new to the Philippines. Oftentimes children are number one victims of this especially those children who did not receive any support from a mother of a father. But don't you know that failure to give child support is a crime and considered child abuse under Republic Act 7610 or An Act Providing for Stronger Deterrence and Special Protection Against Child Abuse, Exploitation, and Discrimination. 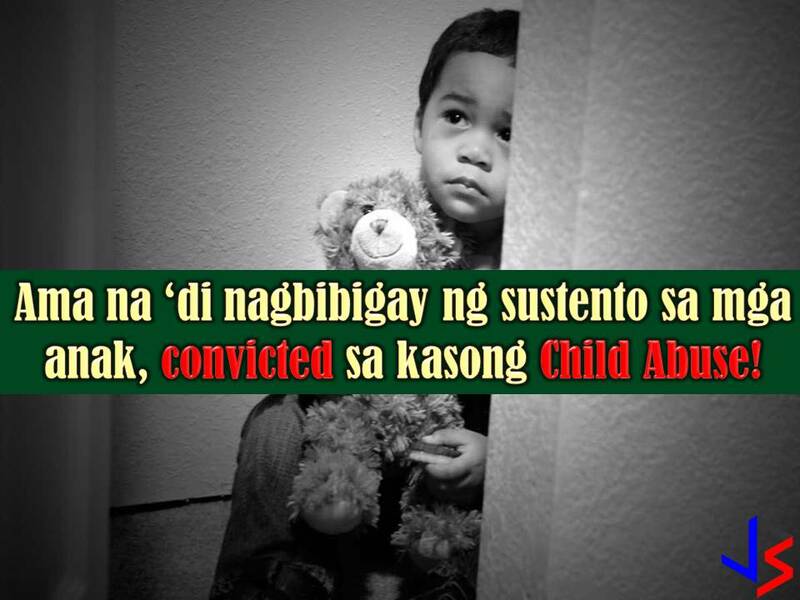 An example of this is a case of a father from Naga City, Cebu that could spend up to 24 years in prison for abandoning his two children. 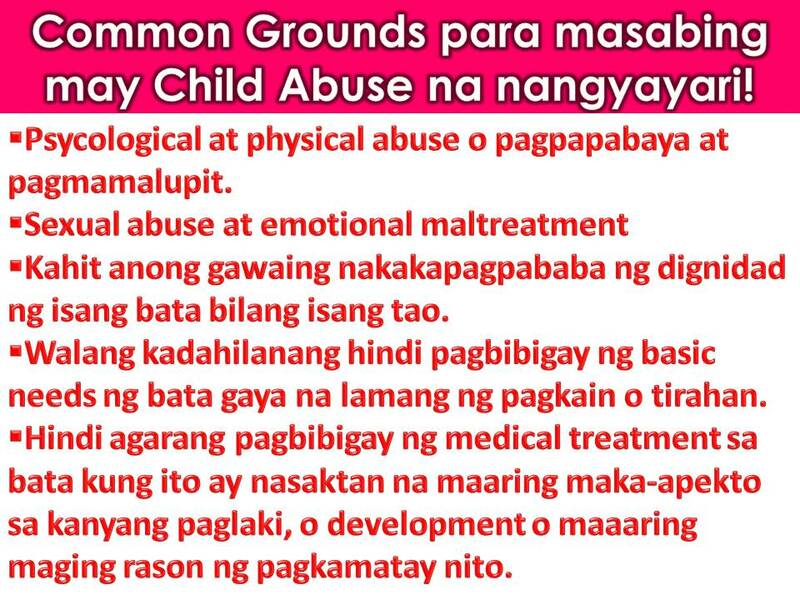 Aside from this, the father is mandated to pay each of his children P50,000 as moral damages. This is after Judge Ester Veloso found the father guilty of two counts of violation of Republic Act 7610. The father was charged with two counts of violation of the Anti-Child Abuse Law for abandoning his two children, then 15 and 14. The two children and their mother testifies against the convict. The daughter said she was only five years old when his father left their mother for another woman. From then, the daughter said, they did not receive any support from their father. Aside from that, the girl said her father invited her to his house and introduced her to her step-brothers. She said she was hurt because she never felt the love his father showed to his twin sons. He recalled that his mother was the only one who provided for their needs since their father left them when he was only four years old. The mother, a public school teacher, said she solely provides everything for her children after her husband left them for another woman.